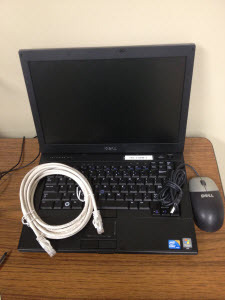 The ITS Help Desk has technology equipment available for check-out to faculty, staff and students. You can borrow one of our laptops if your computer isn't working, or if you need a portable computer to take with you. 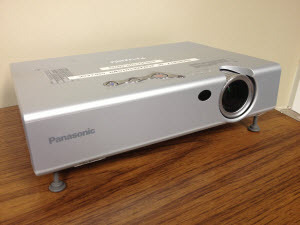 LCD ProjectorsConnect the projector to your computer to create a large display of what's on your computer, such as a PowerPoint. 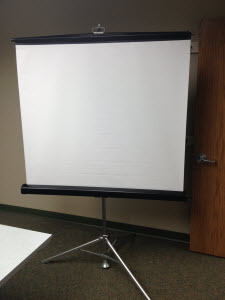 We also have portable screens to accompany the projectors. 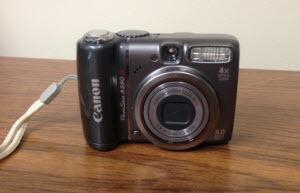 Digital CamerasIf you need to take a few pictures, borrow one of our digital cameras. They come with a USB cable for easy uploading to your computer. Flip CamerasFlip cameras are a simple tool for capturing video. There is a built in USB drive for uploading your videos. Use a flip camera with a one of our tripods for steady filming. Video CamerasUse one of our handheld video cameras for recording lectures, presentations or projects. They come with a USB cable for easy uploading to your computer. Use a video camera with one of our tripods for steady filming. 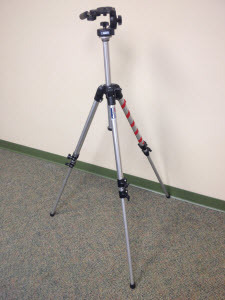 TripodsTripods can be used to support flip cameras and video cameras while filming something like a lecture or project. 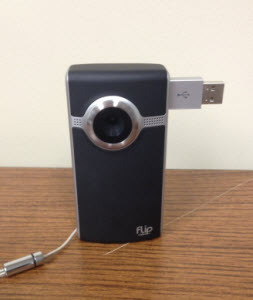 They can also be used with the Swivl to capture your lecture from a central angle. Portable ScreensUse a portable screen with one of our LCD projectors for presenting information from your computer. 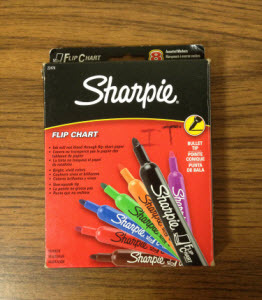 Paper flipcharts and markersIf you're more hands-on in your presentations or want to take really big notes, we have paper flipcharts and markers for you to use. 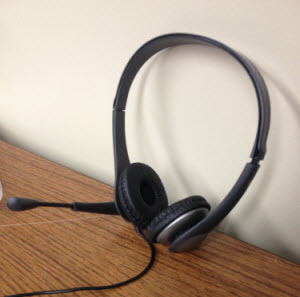 Headphones with microphonesThese headsets with USB connections are useful for communicating online via Skype or Webex and creating videos with programs such as Camtasia. 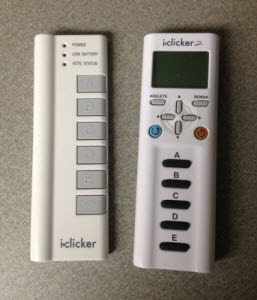 iClicker student response system clickers iClickers can be used in class for quizzing and polling students. They come with grading software, and can even be used with Canvas rosters and grade books. 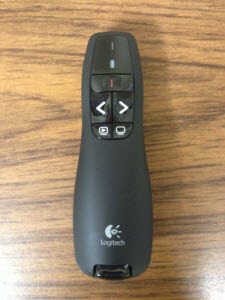 Laser PointersUse a laser pointer to highlight something in your presentation, be it on a screen, whiteboard, or paper flipchart. 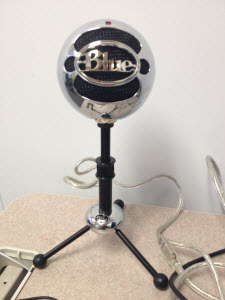 Snowball MicrophoneThis USB connected microphone allows you to clearly record your voice for online conferences or creating videos when you need to pick up audio from many speakers in a classroom. 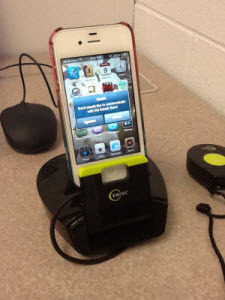 Swivl Classroom Lecture Capture Device Swivl is compatible with iPhones, iPod touches, and iPad minis, which use the Swivl app to capture lectures and presentations. The Swivl device comes with a lanyard that, if worn, will allow the Swivl to follow your every move while you are presenting and capture high-quality audio. 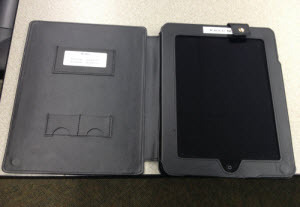 iPadsiPads can be used for a number of tasks, such as taking notes and engaging students in interactive exercises. Check out PaperPort Notes and the Turnitin app for iPad. 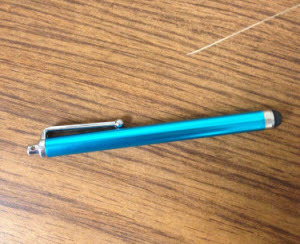 Stylus for iPadsA stylus can be used on the iPad for handwriting notes, or simply as a tool other than your finger to work with the touchscreen. 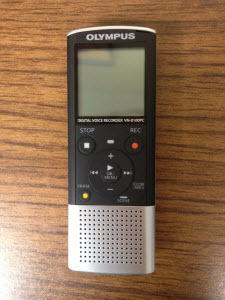 Digital Audio RecordersYou can use a digital audio recorder for capturing a lecture, taking verbal notes, or recording an interview. 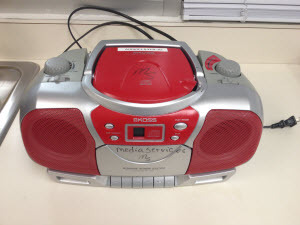 CD BoomboxPlay CDs, cassette tapes, and the radio with our portable boomboxes. 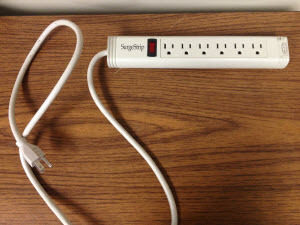 Power StripsIf you're setting up for a presentation and find that you're running out of power outlets, borrow one of our power strips to accommodate your electronics. Cables to connect iDevices to projectorsWe have various cables for iDevices, such as iPhones, Macs, and iPads, to use with the non-iDevice compatible technologies on campus. 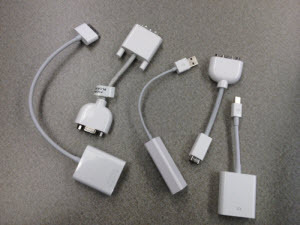 These are needed to connect an iDevice to a projector, for example. 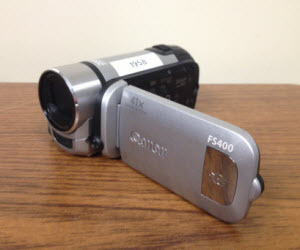 We have various webcams to use with laptops and desktops on campus. They can be used for virtual classes. Email mediaservices@etown.edu or call the Help Desk at x3333 to reserve equipment as far in advance as possible. Or, visit the Help Desk in Nicarry 125 to see what we have available for check out.